Chess for long has been regarded as a game of strategies and tactics and several theoreticians have developed extensive chess strategies and tactics since the game's inception. The game is not merely referred to as a source of entertainment but it also helps you to develop and enhance several very valuable qualities of the mind, useful for human development. A good study of the game of chess can help you increase your analytical skills. 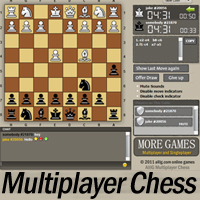 Chess learning through practical methods such as online chess lessons can be an effective way of learning the game. Chess is a very challenging game and it requires the player to be mentally active and have a deep concentration to perform well in the game. Chess can actually help in slowing the effect of certain terrible disorders & problems such as MS, Alzheimer's and Attention-deficit/hyperactivity disorder (ADHD). During the last few years, there has been a clear ascension in the number of kids who are diagnosed as having ADHD, and the numbers are on a continuous increase. The common treatment used nowadays to handle ADHD problems is the administering of medicines as they help to accelerate the slow brain processing-typical condition. Parents find themselves chasing after different kinds of solutions: psychologists, drugs etc. The doctors make all kinds of diagnosis, but unfortunately in most of the cases they admit that there is no 100% cure for these problems. That is why it is believed that chess can be a great way to help ADHD kids improve their thinking skills. Educators say chess is a valuable tool for teaching creative thinking, math, reading skills and patience to elementary schoolers. Learning Chess will help the child to use his mind in an efficient manner that enhances their thinking skills. According to Chess teachers, the study of chess is effective in teaching patience and concentration to students with short attention spans and those with attention deficit hyperactivity disorder. There have been no scientific studies on ADHD and chess, but educators say chess for kids is remarkable in its ability to make kids pay attention. In fact learning chess has been combined in the school program syllabus in more that 30 countries. Alex Rabinovich is an International Chess Master. He has been a World Champion for High Schools in 1996 and has also got a 3rd place in Europe under 18 in 1996. He was a coach of Junior Israeli Olympic team and today he is a General Manager at IchessU.com.